Sweeney's Men were the first of the modern folk-traditional Irish groups, the proto of what was to become known as "Celtic Music". They had a huge impact on almost everything that followed. In the late sixties, the folk revival in Ireland was chiefly in the hands of the Dubliners and Clancy Brothers, very much into vigorous ballad singing, and Sweeney's Men injected some fresh instrumentals into the scene. 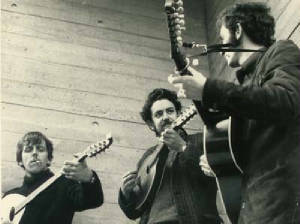 The original line up was Andy Irvine, Johnny Moynihan and Joe Dolan, in 1966. After having recorded some singles and played several gigs, Dolan left and was replaced by Terry Woods in 1967, which became the most famous lineup of this group. Their instrumentation included bouzouki, guitar, banjo, mandolin, tin whistle, harmonica, and concertina. Certainly the most famous contribution of Sweeney's Men (besides some fine music!) was the introduction of the bouzouki in 1967 by Moynihan. This original bouzouki was a 6-string version, which has since been replaced in most groups by the 8-string variant that is now so common. Sweeney's Men came from their music was and is exciting and spontaneous. 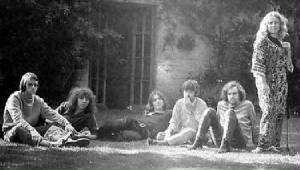 Fairport Convention, the greatest band of all time, the greatest album of all time, Liege and Lief; the combination? an exquisite mix of The British Tradition and a band in their full confidence, a mix of the old with the new, witness the power of the combined writing powers of Richard Thompson and Dave Swarbrick on Farewell, Farewell and Crazy Man Michael. What we have here is not just another band that came out of the late sixties, but something incredibly unique, the birth of truly British music, as Ashley Hutchings would describe it years later in a song, appropriately called Wings, we had finally grown "our home-made wings", and things would never be quite the same again. Ashley. " After the crash, we got together for a meeting and decided we'd carry on, bring in Dave Swarbrick on fiddle and audition for a new drummer. We'd opened a whole new can of worms with A Sailor's Life and we decided there and then to go wholeheartedly in that folk rock direction. So that was quite an auspicious meeting." An interesting coda to all this is that after Ashley Hutchings had left Fairport Convention at the end of 1969 Some talk of an Irvine/Moynihan/Woods/Ashley Hutchings combination of Sweeney's Men came up in 1970 or 1971, but the dynamics that caused the breakup after Irvine left remained to a certain extent, and this never got off the ground., instead, Steeleye Span was formed and their first album, Hark! 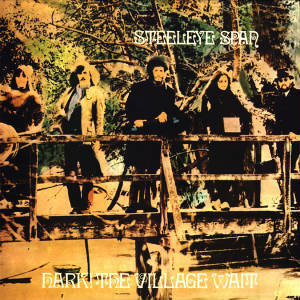 The Village Wait has a definite "Celtic" feel to it.